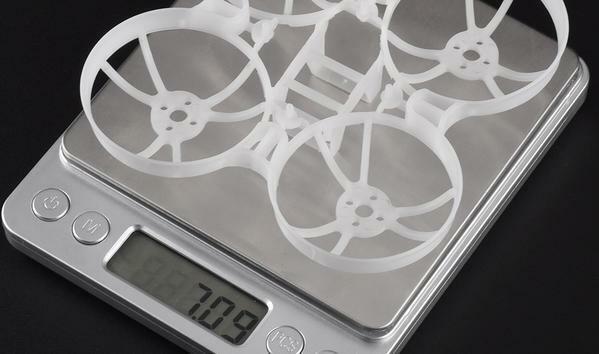 This Beta75X frame is custom for 75mm 2S whoop. 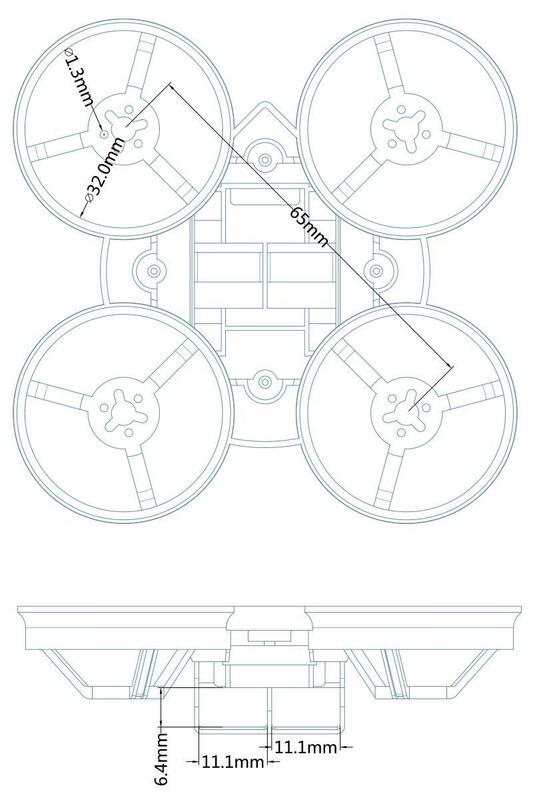 This frame supports 110x motors. Also it has a custom battery slot to support 2S battery use. 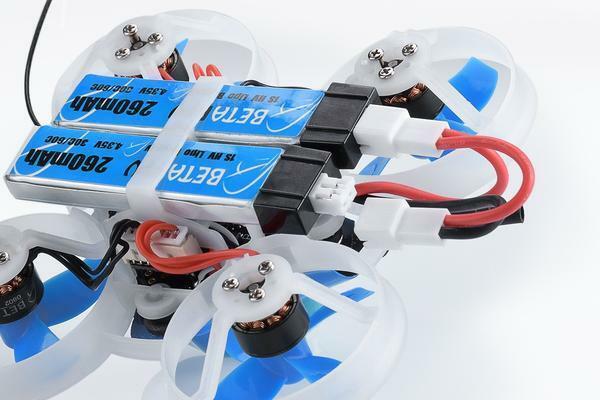 The FC mounting columns still match the whoop style FC boards. 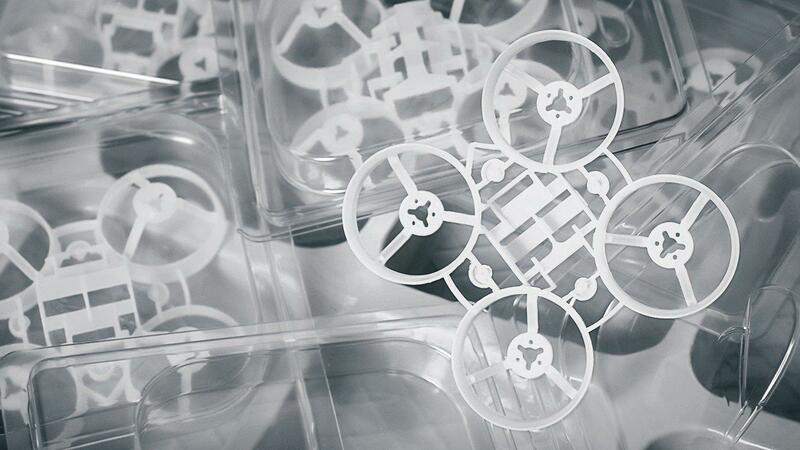 At the same time, we would like to keep it durable and light enough for a 2S whoop beast. In default, the battery slot is designed for 2S 300mAh battery. 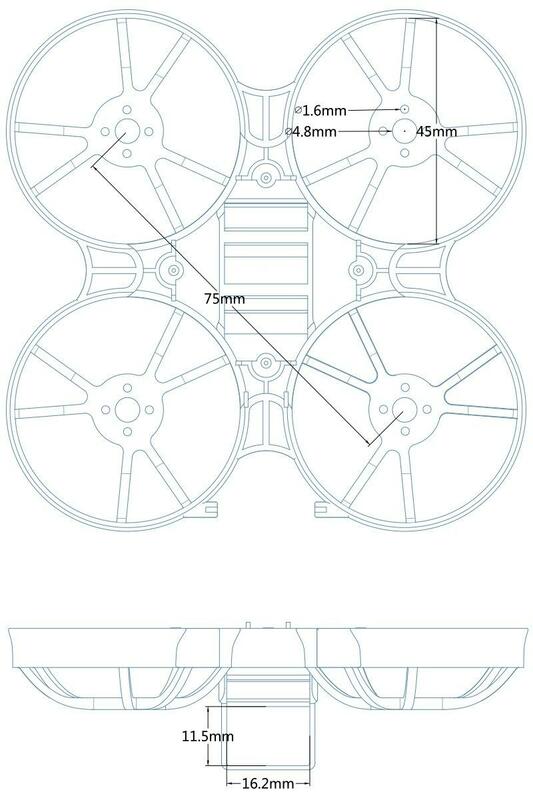 If you already have many 1S whoop style batteries and want to use the them on the this frame, what shall we do? 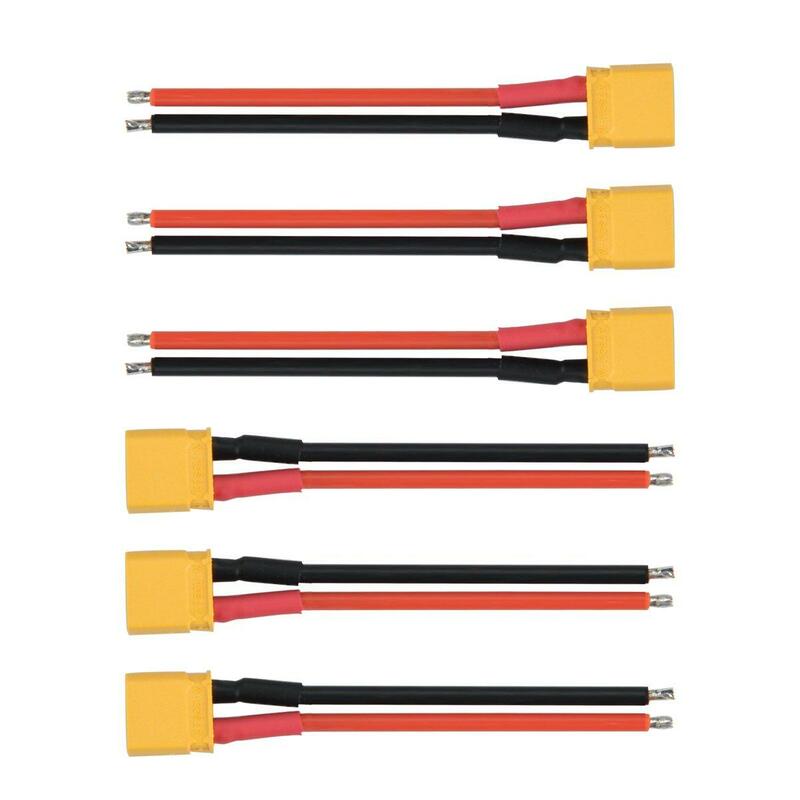 As show below, with the help of this adapter, 2 x 1s Lipo HV whoop style batteries are inserted in the slot and can be used without an issue. 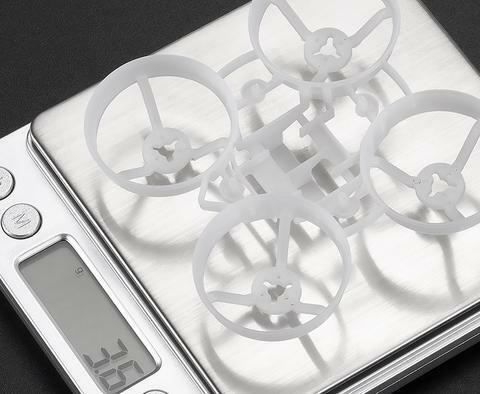 This Beta65X frame is custom for the 65mm 2S whoop. This frame supports 0x0x motors, like 0802, 0705 etc. Also it has a custom battery slot to support 2x 1S whoop style batteries. 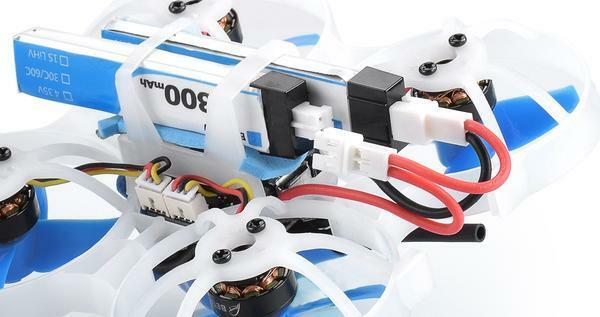 The FC mounting columns still match the whoop style FC boards. At the same time, we would like to keep it durable and light enough for a 2S whoop beast.